GAPA engaged with Gavilan & Associates to rebrand their association and to create a logo for their annual conference. The association logo had not been updated in 43 years and they did not have a conference logo, relying instead on location-based images for their marketing. 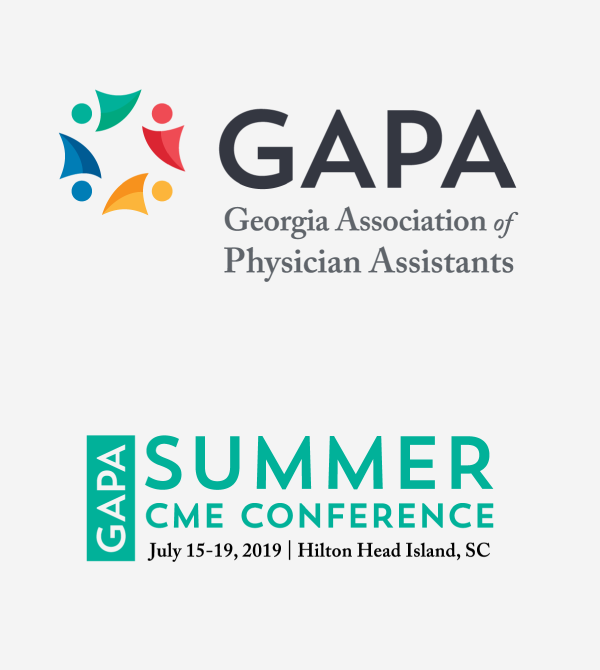 The new association logo reflects attributes members associate with GAPA: active, well-connected and engaged professionals. The conference logo emphasizes the core words, Summer CME Conference, and compliments the corporate logo.